In the 3.15 at Newmarket on Thursday, Exosphere is on a retrieval mission after trailing in eighth of nine, beaten 19 lengths, behind stable companion Dartmouth in the Hardwicke Stakes at Royal Ascot last month. Sir Michael Stoute’s 4-year-old had previously beaten Simple Verse in convincing style at Newmarket, on going officially described as ‘good to soft’ but, at Ascot, the trainer’s representative reported that Exosphere was unsuited by the good to soft ground, which was too soft on that occasion. The going on the July Course is currently good to firm, with drying conditions forecast for the immediate future, so Exosphere, who won on good and good to firm going as a 3-year-old, should have no such excuse this time. 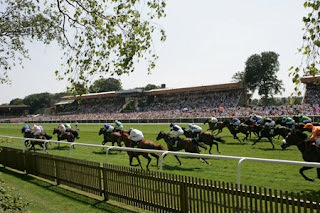 If he can return to the form that saw him readily draw clear in the closing stages to beat Simple Verse by 4 lengths in the Jockey Club Stakes, over 1 mile 4 furlongs on the Rowley Mile Course, in April, he looks a worthy favourite. The Grey Gatsby, who was winless last season, but ran creditably in defeat at the highest level on all five starts, provides stiff opposition, but at around 11/4 in the early price lists Exosphere looks the one to be on.